Incredible Sound: Powered by 12W stereo drivers, this portable bluetooth speaker delivers stunning sound with enhanced bass, tight mids and crystal clear highs without distortion at any volume. Moreover, the speaker comes with a built-in microphone. Compact and Long Playtime: With its small size and lightweight, the bluetooth speaker can be carried around in your hand, hooked to your bag, or even your bike. Up to 12 hours playtime in 50% volume help you take this portable speaker anywhere. IPX6 Waterproof, Dustproof, Crashproof: The bluetooth speaker is made of special textile fabric materials, which protect it against water, sand, and dust. Even more, the durable silicone housing and port cover make the speaker shock resistant. Bluetooth 4.1 and 3 Output Modes: Bluetooth 4.1 connects stably from up to 33 feet away, and is compatible with all Bluetooth-enabled devices. The E-go portable Bluetooth speaker supports Aux-In, TF card, as well as the Amazon Echo Dot. 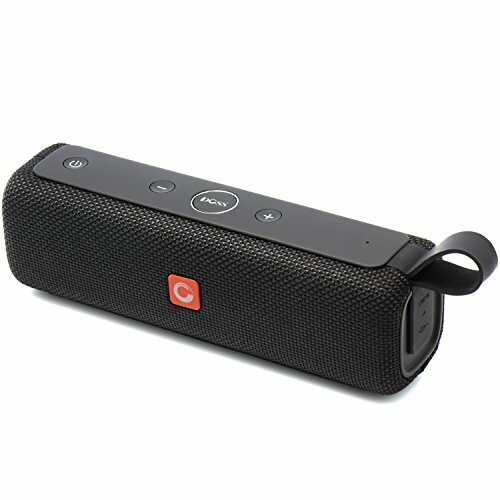 What You Get: E-go II Portable bluetooth speaker, Micro USB cable, 3.5 mm audio cable, User Manual, 24H instantly Los Angeles local customer service and 12 month warranty. If you have any questions about this product by DOSS, contact us by completing and submitting the form below. If you are looking for a specif part number, please include it with your message.